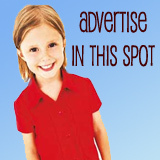 Today, NorthEscambia.com begins a series of stories with award listings from area schools. Today’s listing is from the fifth grade at Bratt Elementary School. Way to go Laurel Haag Grammy Loves you and I am soo proud to be your Grammy!! Yeah, I think it’s pretty funny. All of these kids get amazing awards in elementary school…but just wait till middle and high school. They won’t get hardly anything. Congrats to O’Neisha Spencer, Ladarrius Thames, Shnala Banks & Danielle Robinson! Morgan Wiggins also recieved an American Citizenship pin. She is not listed above. WAY TO GO MORGAN !!!!! We love you. Way to go, Dariane! You are pretty and a good student too! I know your parents are proud of you…keep up the good work!